Following the success of his second novel Fine Boys, medical doctor and banker Eghosa Imasuen opens up to Abubakar Adam Ibrahim on his writing, Nigerian literature and his disappointment on missing out on Nigeria’s most prestigious literature prize. I suppose the logical place to begin would be the language of your novel. It is very Nigerian, something we haven’t seen fully deployed in literature before now. How did you decide on writing your stories using this language? I was creating a character. 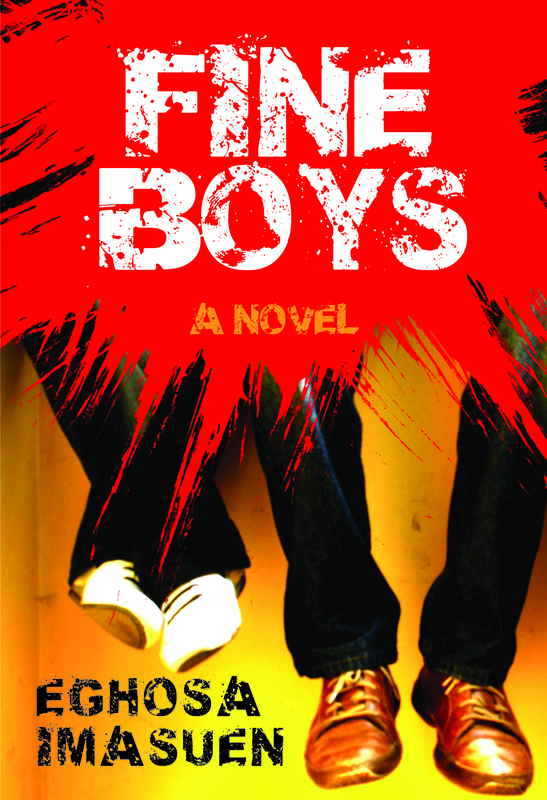 You have to remember that the novel, Fine Boys, is written in the first person point of view, i.e., the story is narrated by one of the protagonists, Ewaen, who is 16 years old at the time the novel begins. The voice had to be authentic to its time and place. So it was a conscious effort to go for that voice, to speak that way; if you agree that there was a way young Nigerians of the time sounded, and that we are representative of that generation. I tried to write the way we spoke in the ‘90s. It was interesting; I think the greatest pitfall was allowing anachronisms to creep into the characters’ dialogue, into the narrative itself, which is a dialogue with the reader. I found it refreshing, and nostalgic. A bit difficult, because it seemed so easy to do, but there were the dangers of sounding too normal, too recent, and forgetting the small-small differences that a decade-and-a-half allows to creep into speech. I am sure you have been asked this before but really, to what extent is Ewaen, the main character in Fine Boys, different from Eghosa; or are they one and the same? No they aren’t the same person. I will admit that in creating the character I drew from my own experience. But there was more. Here I remember an aphorism, I can’t place its creator, which suggests that all writers use three tools in their fiction: experience, mining one’s own; research, listening to what you’re told, using what you’ve observed; and imagination, creating the rest. So, Ewaen is an amalgam, of memory, of self, of my imagination. And I am terribly boring; I could not have managed what any of the characters go through in that novel in my own life. 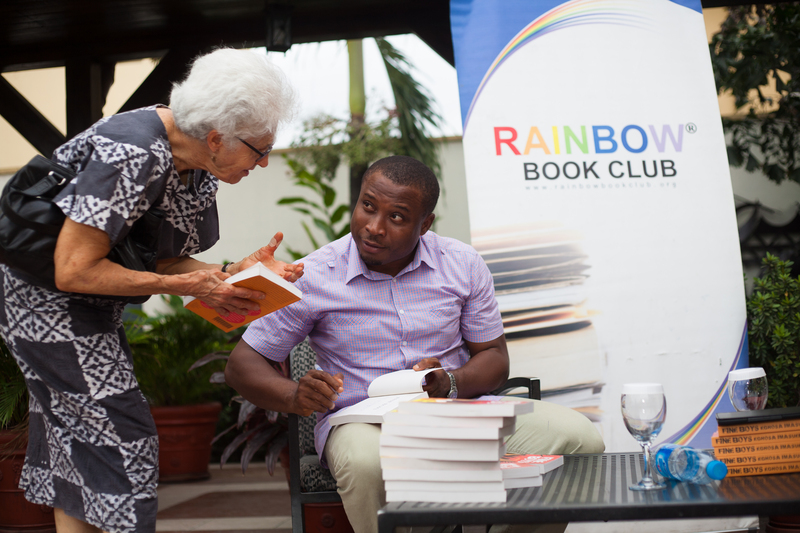 There have been positive reviews for Fine Boys, as the author you must feel good about it. But as a writer, and with the benefit of hindsight, if you are to change anything, what would it be? The reviews that are good, even the mixed ones that say a few good things, are a sort of validation, I must admit. When I come across them, I am happy. It is gladdening when a reader gets what you were trying to achieve, the effect that you were shooting for, more so when they assert that the execution was well done. Concerning any changes I would make looking back; even while writing I struggled for a long time with the decision to tell the story from the point of only one character. I tried a few experiments with voice, even published a short story lifted from an early draft of the novel—you might have read it, The Cadavers, it’s online—but I finally stuck to the decision to tell the story in the first person POV. Another thing I might have toned down is maybe the profanity; too many people find it difficult to get past the way human beings speak when they read it in print. But all in all, I would not have changed anything major. Your character Ewaen, among other things, witnessed domestic violence between his parents and it seemed a usual occurrence to him and his siblings. To what extent do you think domestic violence is a problem in contemporary Nigerian society? It exists. Sometimes one is tempted to attribute it to a different period, tempted to assert that, no, it cannot happen now, the moral zeitgeist has shifted too far, that in the past even “good men” could beat their wives, and it didn’t mean much. But the truth is that there has always been a type of man who would do this, who would break all moral and social norms of his time. These are not good people. So I don’t think of domestic violence in terms of prevalence in any time period; I think in terms of prevention and deterrence. In education of our boy-children, and in punishment of those for whom education would do no good. I believe in teaching our women to walk away from unhealthy relationships. I see in Ewaen the contradiction that is Nigeria in the sense that he seems to be conflicted about his morals. He has no problems indulging in exam malpractice but yet sturdily resists attempts to initiate him into secret cults. Is that what you set out to demonstrate originally with the character, this contradiction? I set out to create a mirror, yes, we could use that metaphor. To create a mirror, a clear one, with its ability to be very unflattering. I make very few moral judgements; very few, treat your neighbour as you’d want to be treated, do not betray the public trust, survive by any means that do not hurt another without cause. So I look at these characters in the story; should I have made the narrator a preaching, do-gooder? He was actually in an early draft. I found him so annoying during the revision period that I had to be more honest. It was not a planned effort, in truth; it was just an honest rendition of this mirror. That morality can be relative; that sins are not equal, that being outraged by corruption even when one’s own garments aren’t white isn’t hypocrisy, it is humanity. I hate it when people play that card: look at you; throwing refuse out your car window, you are one of those contributing to the problem in Nigeria. It is a disingenuous (and sometimes, honestly naive) argument that only succeeds in perpetuating the status quo; a citizen’s personal failings should never be used as an argument to stop them from speaking out about their leaders. Indeed. You have told the story of a generation of Nigerians that has largely gone unacknowledged but the picture of this generation we get is that of a lazy brood who have an aversion to serious intellectual engagements. Is that really what this generation is about, in your opinion? I hope I haven’t been complicit in painting that picture. Oddly, our generation, those born during the civil war, and immediate post-civil war decade, are no longer youths. We are in our thirties and forties. We are getting old. And I think each generation, as messily as you can manage to demarcate one from the next, speaks to its own issues with its own voice. Serious intellectual engagement? How is that measured? We speak with our tools, and there will always be those who raise the discourse to lofty heights. But you must also factor in the ease with which information is propagated now, the internet message boards, that morphed into listserves, and then into Social Media; the ease with which anyone can find a platform on which to air their views, TV, radio, newspapers. There is a din of voices out there. And the emptiest are still the loudest. But it doesn’t mean there isn’t serious intellectual engagement going on, or that there aren’t those who are capable of engaging in deep thought. It is just harder to see, to discern. It is a double-edged sword, this proliferation of voice. See what it has done to the reputation of our generation; people actually doubting if we can think. And perhaps, in relation to this, there is talk about a new generation of Nigerian writers, home grown talents making waves and having an impact in the digital age. Prof. Pius Adesanmi has even called them the Cyberia generation. What would say are defining the stories this generation, to which you belong, are telling? Aren’t we all home-grown? Even those who travelled abroad mostly left in their late teens and young adulthood. What defines us, I hope, is a healthy irreverence. An ability, nay need, to mix up influences. It is everywhere, this mongrelism, it is in our music, our clothes. But it is under attack. Our generation is facing new fears, new uncertainties, and the solution on offer, the easy one, seem to be increased religiosity, an abandonment of doubt, of uncertainty, an abandonment of the drive to question. We need to look to the past, to see where anti-intellectualism can lead. We need to fear that road, and hope we never take it. And we have heard this debate a lot, especially from the older generation, about how this generation is not as good as previous ones. Now speaking for your generation, how really good do you think you guys are? Should I reel out names of writers who are doing great work? Do I have to mention you, Adam Abubakar, Chimamanda N. Adichie, Elnathan John, Helen Oyeyemi, Chika Unigwe, Lola Shoneyin, A. Igoni Barrett, Tolu Ogunlesi, Jude Dibia, Uche Peter Umez, Efe Paul Azino, Uduak Isong Ogwamanam, Rotimi Babatunde? It is a pitfall of human experience, to look at the past with unquestioning nostalgia. Even those who should know better can slip into this fallacy. I remember an article that Abati wrote a few years ago that was so out of touch, wherein he tried to make the case for the emptyheadedness of all of today’s music, of today’s social scene, of today’s generation. It was embarrassing. He made no allowances for what I have mentioned earlier, the din of voices; he made no attempt to really listen to what those who have come after him were really saying. And the most eloquent response to his bunkum was written by a hip-hop R&B artiste, Bankole Wellington the Third. Your readers should search for that exchange, it is still online somewhere. And in perfect eloquent echoing of their then editorial chairman’s mistake, the Nigerian Guardian tried to milk the controversy by purportedly printing a series of rejoinders and counter-rejoinders, and all the rejoinders they printed seemed to prove Abati’s point, with their robust outrage, their ad hominen attacks, their din. They sold many Sunday editions in the weeks that followed. But they never published Banky W’s article in their paper. So, I think those who are good, and they are many, are very good. It is just that they are no more gatekeepers of taste, and many people are demanding to be heard. The responsibility has now shifted to the ordinary consumer, the reader, the listener, to become a connoisseur of sorts, to sift through the many for the brilliant “few”. Interesting indeed. Now going back to your writing in particular, despite the uniqueness of your style you must have had some influences growing up as a writer. Who are those influences? My influences are rather scattered. I am child of the thriller. I loved reading my mother’s Harold Robbins novels; I would steal into the family library to flip backwards to the naughty bits. The African novels I read were more serious stuff; I think Ngugi’s early novels, Achebe’s and Ekwensi’s had an effect on my voice. As a young adult I became a fan, actually I have always been a fan, of science fiction and fantasy. I particular think that Isaac Asimov, famed for his frank artlessness, influences my style, his honesty, his uncluttered prose. Adichie too is an influence; the wayo simplicity of her prose is something I try to emulate. And how exactly did you discover that you were going to be a writer. What was the defining moment for you? I can actually pinpoint the exact moment I made the decision to write seriously—I’d always written, a notebook novel, time travel, complete with illustrations, I wrote in primary school comes to mind. My eureka moment was in 2005. I was practising medicine in Warri. I had this conversation with my mother, which coalesced into this indescribable need to put a story on paper. That story became my first novel To Saint Patrick. There have been a lot of positive reviews of Fine Boys and, in some quarters, disappointment that it didn’t make the LNG Prize longlist. How did you feel? I was disappointed that I didn’t make the longlist; who wouldn’t be? And it was a difficult emotion to feel because some of my closest friends as writers, Lola Shoneyin, Chika Unigwe, Jude Dibia made the cut, and one of them eventually won. I suppose the judges knew what they were looking for, and didn’t find it in my novel. It hurt, but one can’t take these to heart. One must write the next book. And what do you think of the Prize as a whole, the judging and administration? The NLNG Prize for literature is evolving. It will get better and better. If I would suggest anything it would be that the judging panel’s make up be changed to include writers, readers (opinion makers, respectable and of impeccable character, these could be musicians, reviewers/critics.) You must have people who read contemporary literature, who feel the pulse of the times. The fear is that with only academics, you have books scored to a template, measured against an unattainable nostalgia, but good literature is always more than the sum of its parts, is always a product of its present. I recall a quote I read in a Neil Gaiman’s novel, “A novel is a long piece of prose fiction with something wrong with it.” I think it suggests that the perfect novel would be perfectly boring. I would also suggest that they do away with the annual prize rotation among the genres. There is an existing prize, the National Book Awards, in the US, whose template looks like it could be an almost perfect fit for what the NLNG can be, what it will be, eventually. And I think drama should not be a “book” prize. It is literature, and should win prizes, but how do you save a genre by not encouraging performances. Better minds than mine will come up with solutions to these issues. It will get better, it has to. I am aware you are an admirer of Neil Gaiman’s American Gods, which I enjoyed as well. To what extent do you think writers reinvent myths and legends using fiction? I should speak primarily from what I am most familiar with, prose, the novel, the short story. Writers mine experience for their stories, they listen. And what better source than the old stories. What Gaiman did with American Gods had such a profound effect on me. Here is an Englisman trying to write about his experience of America, the disconnectedness he felt, his awe of the people’s enterprise, a travelogue. And what does he do? He looks at the Old World stories of myth and legend. And he creates a world in which America itself is a deity, a place whose soil isn’t healthy for gods. He supposes, what if the gods and mythological characters of our stories were real, existed in the physical and thrived, so long as we believed in them? What if all the different people who had emigrated into this strange place, America, brought with them their gods, their stories? What if these stories were being forgotten? It is a great angle from which to examine the human condition, as I believe that all good fiction must do, and it illustrates perfectly my opinion that our best stories are our oldest, and that we will continue to retell them for our times. You experimented with alternate reality in your first novel, To Saint Patrick and now you have served up Fine Boys, which is somewhat autobiographical. What next will you be serving up? I think I will do something set in the “now”; our present environment, social, political, creates so many stories. I am drafting a treatment for a contemporary novel. I hope it succeeds. Chei,my number one fine boy!!! This is a brilliant interview. Brilliant!! Abubakar welldone. Insightful questions. Eghosa, welldone. Intriguing responses. Erudite. Honest. I remember so well the Reuben Abati diatribe. Ah! Those were dark days and BankyW forever earned my respect with his recriminative rejoiners. Thanks, Pearl. Glad you found the interview insightful. I though Eghosa’s responses were brilliant as well. That’s was a very cool interview. Indepth answers supplied to sensitive questions. I think Eghosa brilliantly did justice the question of character creation which he attributes to first, his own experiences, then reserch and finally, imagination. I read stories where a character (especially the main protagonist) ends up with multiple characters that shows diverging from the one earlier stated. I believe characterisation in fiction is an art, one that should be consistent and crafty. Thanks, Mohammed. Characterisation, especially in a novel where you have multiple characters interacting over a considerable expanse of time is challenging. It certainly takes a lot to remain consistent.